After a cold winter this year, it might be time to think about changing how you heat your home and look for alternatives. A great question to ask yourself is “Why buy an electric fireplace?” And the solution is pretty obvious and easy: they are more cost-effective than traditional gas and wood burning fireplaces, they are safer, they look great in homes, and they are better for the environment. Let’s take a look at four great reasons why you should consider buying an electric fireplace. Electric fireplaces can have a tremendous effect on electric bills especially during the winter months because they don’t require as much energy as a central heating system. They cost less to run than heating systems with electric fireplaces costing on average only 8-12 cents an hour to run, totaling about $25 a year. Compare that to gas, which typically costs 17-19 cents an hour to run and about $60 a day and you’re looking at a $35 difference. So utilizing an electric fireplace and turning down the central heating system can save a tremendous amount of money in just one day. One principle to keep in mind is that electric fireplaces shouldn’t replace a central heating system, but rather help keep one specific area warm. This method is called zone heating. Essentially, zone heating is keeping the parts of the home that are used the most warm in order to save more energy. The best strategy for heating your home when it’s cold is to have the electric fireplace in the room that has the most traffic such as the family room or kitchen and then keep that area warm, while you turn down the heat to save some cash. Keep in mind that these fireplaces can keep about 400 square feet heated, so use this as a way to keep one area warm, while your turned down central heating system keeps your pipes and other essentials from freezing in the especially colder months. In addition to helping cut costs from the electric bill, I found these electric fireplaces can save more money than stone, built-in fireplaces that are powered by burning wood. The first way they can save money is the installation costs, with a traditional brick and gas fireplace having a substantially higher installation cost than electric fireplaces. Installation prices can make or break the bank because you have to hire a skilled mason and factor in various construction costs, which can easily cost a couple thousand dollars. And if you choose a gas or propane fueled fireplace, the cost can increase by another couple thousand dollars. 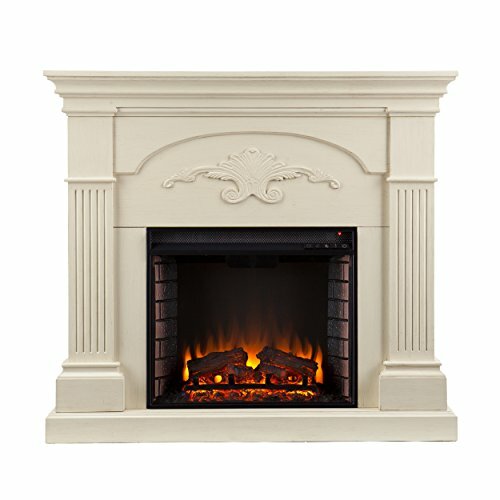 According to HouseLogic.com, a traditional fireplace can cost a whopping $2,000 for the basic materials package with Installation and finishing typically adds $2,500. So that’s about $4,500 dollars for a regular brick fireplace for just the installation alone. These are electric logs and brazier combos replace wood logs in an existing fireplace without an installation. A typical log insert can heat up to 400 square feet and simply plugs into a standard electric outlet. These logs typically cost $150-$200 and can be placed in a fireplace. 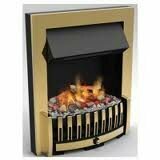 This option has the look of a fireplace and can fit into an existing mantel or other area of the home. 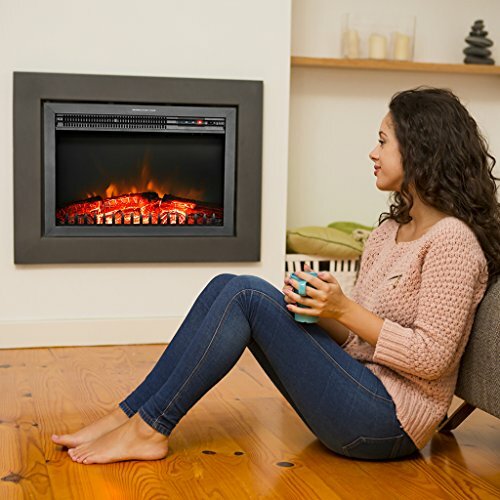 The main difference between this insert and the built-in insert is the built in has a bit more power and can be connected with the home heating and electric systems. The plug-in insert has enough power to heat 400 square feet and typically plugs into a standard outlet. These fireplaces typically cost $150-$350. Like the name implies, these pieces are built into mantels, entertainment centers, or the wall. 220-volt versions are able to heat as much as 800 square feet. Most are hardwired into the home. These usually cost $250-$600. All three of these options offer a significantly lower price for their installation over a traditional fireplace by a couple thousand dollars and without much of the hassle. I know money can be tight so make sure to examine all the options to keeping your home warm. If you have a tight wallet, the cost of a electric fireplace may be enough to entice you to buy an electric fireplace, but let’s take a look at another positive that electric fireplaces have: their impact on the environment. With more and more concern about the effects global climate change is having on the planet, people are looking at different ways to cut down their carbon footprint by reducing the amount of greenhouse gases they produce. Traditional wood and gas fireplaces contribute a lot to climate change. Wood burning fires and stoves release tons of particles into the atmosphere. The EPA estimates that the emissions of a traditional fireplace contributes approximately 62% of aromatic hydrocarbon emissions, which is a very dangerous human produced carcinogen. So not only is using a traditional wood fireplace bad for the environment, but the ash and carcinogens produced from burning the wood can be a serious health hazard for our eyes and respiratory systems. The great thing that I found about electric fireplaces is they don’t use wood or gas to make and sustain a fire, which doesn’t produce as much carcinogens and other harmful materials. Thanks to being powered by electricity, these fireplaces can help reduce our carbon footprint and keep us healthy. I’d call that a double incentive when you’re looking into why you should buy an electric fireplace. With a cleaner environment in mind, there also comes the thought of a safer environment in a home using a electric fireplace versus a traditional fireplace. As I mentioned earlier, traditional wood and gas fireplaces can be a health hazard with the hazardous carcinogens they produce and, especially for those with sensitive lungs, can have a detrimental impact on our lungs and eyes from the smoke. But, traditional fireplaces are also dangerous for another reason: their upkeep. A traditional fireplace with a chimney needs a tremendous amount of upkeep due to the amount of ash coating and other by-products that build up with each use. This ash can be extremely dangerous and deadly if not cleaned properly or sufficiently. Blocked chimneys are extremely dangerous as they can lead to damaging the structure of the chimney, house fires, death. In order to keep chimneys safe, you have to pay for inspections and cleaning when necessary, which is another expense you have to allot for a traditional fireplace. There’s also a matter of the gas pipes that are connected to the fireplace. The carbon monoxide that helps start or sustain a traditional fireplace can be extremely dangerous and deadly. The Center of Disease Control did a study in 2014 that found that an average of 430 people die from non-fire related carbon monoxide poisoning. This could be because a fireplace pipe was damaged and leaking or someone may have forgotten to turn the gas valve off. Either way can cause serious health effects and death. 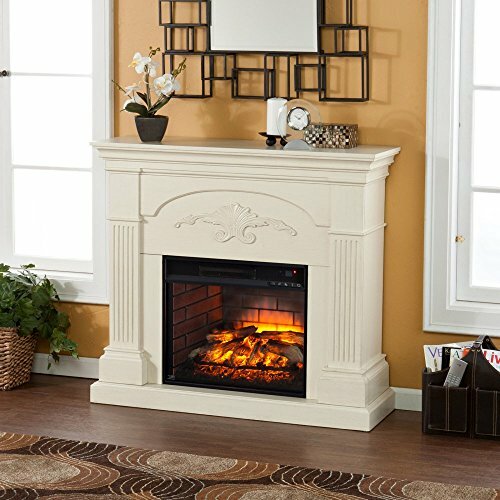 Having a electric fireplace can reduce that carbon monoxide worry by getting rid of or reducing the amount of gas pipes, and you don’t also have to worry if you left your electric fireplace going, versus having to make sure to douse the fire in your fireplace and ensure that you’ve turned off the gas. While you shouldn’t have to worry about an electric fireplace running for a bit, make sure to not have it going 24/7 or you will run into some problems. Electric fireplaces take little to no upkeep, minus the minor inspections and maintenance. Electric fireplaces can stay good for about 10-20 years, which is great because you don’t have to have to worry about any chimney inspections, the condition and safety of your chimney, or any pests finding their way into the chimney. That’s 10-20 years of cleaner and safer heat, minus the additional worries that accompany a traditional fireplace. I think that every home needs a fireplace, and I hope you do too. A home just doesn’t feel complete without one. And if you are feeling the same way in a home or apartment that lacks a fireplace, maybe it’s time to consider buying an electric fireplace. It’s cost effective, safe, and better for the environment than a traditional gas or wood fireplace. Plus, it can give those apartments that homey feel for those that one day dream of purchase a house. With the multiple options of getting a log insert to give the look of a burning fire and the mantel built-in insert to give the complete look of a mantel and fireplace, you can still have the fireplace of your dreams. In Conclusion: Why Buy An Electric Fireplace? So not only can electric fireplaces safe you a significant amount of money, they can make you feel better when you think about your mark on the environment, while making your home safer. That’s three major positives and great reasons to think about that electric fireplaces have over a traditional wood or gas powered fireplace. So if you’re looking to buy a electric fireplace, get your wallets ready for a tremendous piece of technology that will complete your home or apartment, without the hassle of a traditional fireplace. 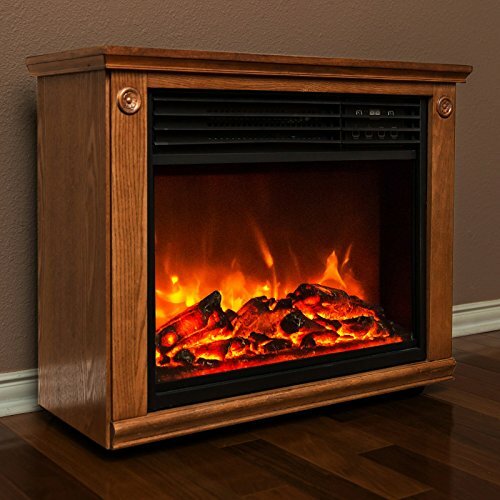 There are plenty of options out there, but if you’re looking for a quick and convenient place to check out some electric fireplace options, go to pluginflames.com and find the electric fireplace that will complete your home and fulfill your dreams.